Blossom Dayhomes INC, has multiple locations in both Mount Pleasant NW, Tuxedo NE and Royal Oak, NW. Due to popular demand, we are opening a brand new home in the Sage Hill area for a September 2018 start!! 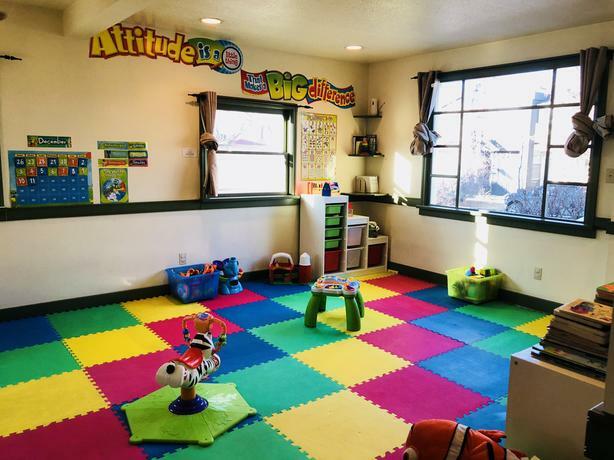 Are you looking for a safe and loving environment for your little one? We are open from 7.30am to 5.30pm, and those hours are yours to choose as and when you wish. Our curriculum offers a structured program which includes daily crafts and activities. We promise daily outdoor time - weather permitting. All our homes have a fully fenced backyard. All of our caregivers are first aid and CPR trained. We offer a nutritious and healthy menu with easy and simple meals. Our ratios are 1 caregiver to a maximum of 6 children per day. We are a private company and so can have children of any age. Caregiver interactive application in our programs, where you are able to receive photographs in real time of your child during the day and a detailed report once they have been "checked out" at the end of the day. Please email admin@blossomdayhomes.com for further information and to arrange a tour.